My prince. He has my heart. Forever. I usually refrain from posting about my personal life, gotta keep some things to myself. 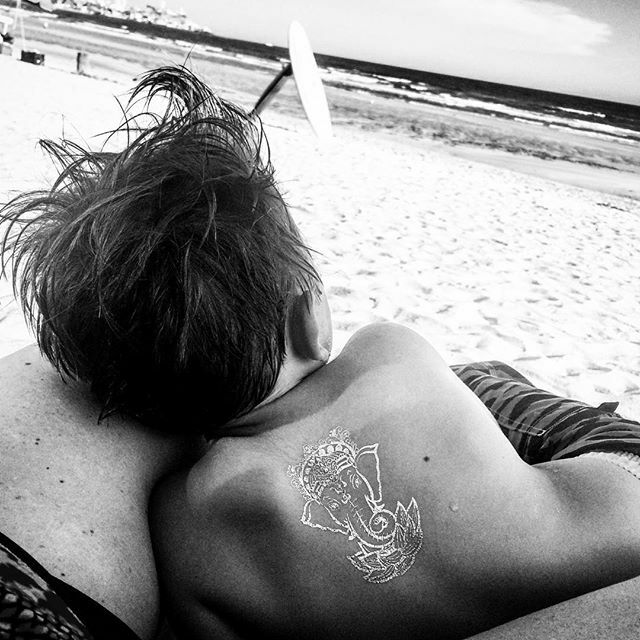 But he is wearing our new #ganesha #metallictattoo and well, it's too perfect to keep to myself.